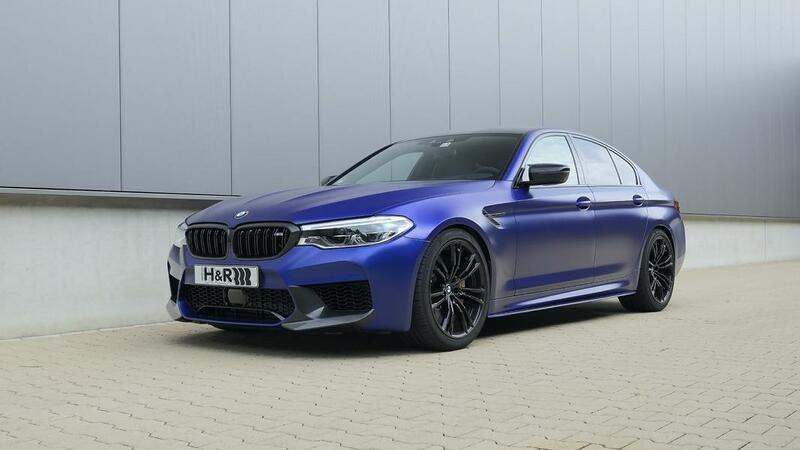 The BMW M5 Competition rightfully claims the title of the ultimate BMW 5 Series vehicle. 625 horsepower or 466 kilowatts under the hood, sophisticated adaptive suspension and acceleration to 305 km/h (190 mph) in a straight line – it has much going for it, indeed. Further improving an engineer feat like this is a challenging task. Nonetheless, German suspension parts manufacturer H&R has managed to accomplish just that. Once installed, the new suspension lowering kit brings the current-gen BMW M5 Competition 20 mm (0.78”) closer to the ground. It may not sound like much, but is actually enough to appreciate the improved steering and lack of rolling when entering sharp turns at full throttle. An H&R spring kit would set you back €425. Along with that, the company is offering wheel spacers (€90) for those who would like to ensure perfect positioning of wheels inside their respective arches.